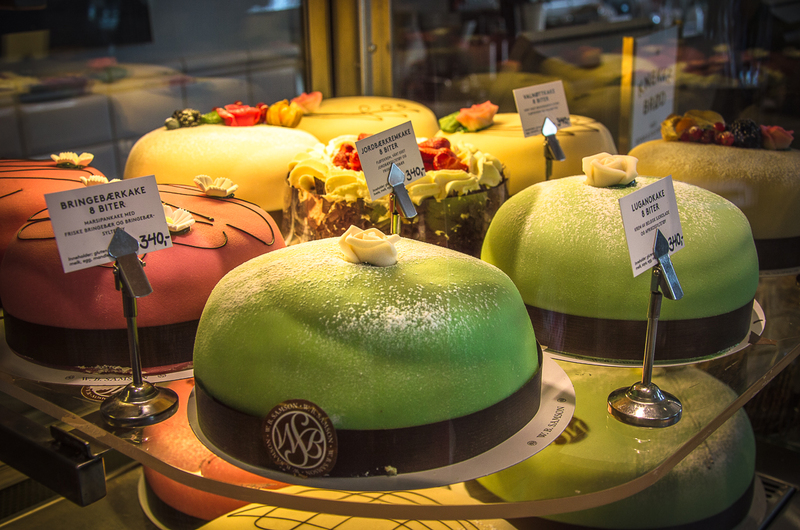 Oslo is the capital of Norway and has not only many famous sights to offer but also culinary treats. We explored the northern harbor metropolis and collected our favorites of the city so you can discover Oslo on your own. 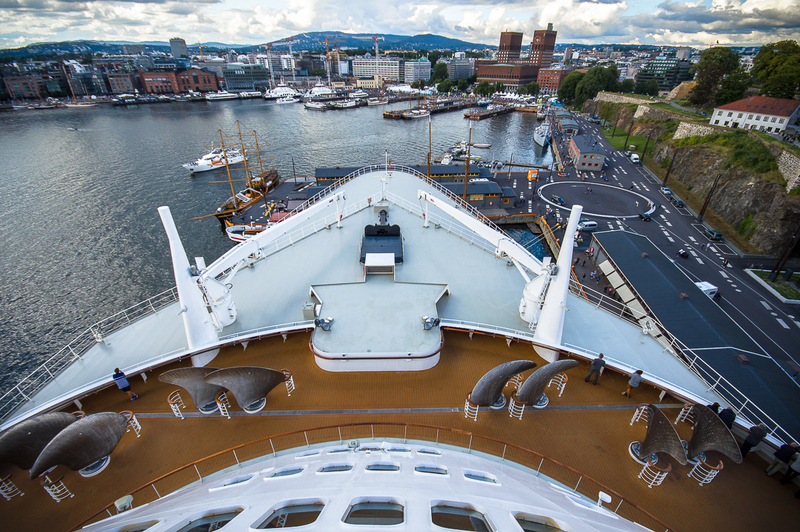 Your city tour begins in the port area of Oslo. Already when you wake up aboard the cruise ship and look outside, you will see the fortress Akershus on the right side of the ship. The castle was built in1299 and is located only a stone’s throw from the berth of the cruise ship. Admission to the fortress is free. 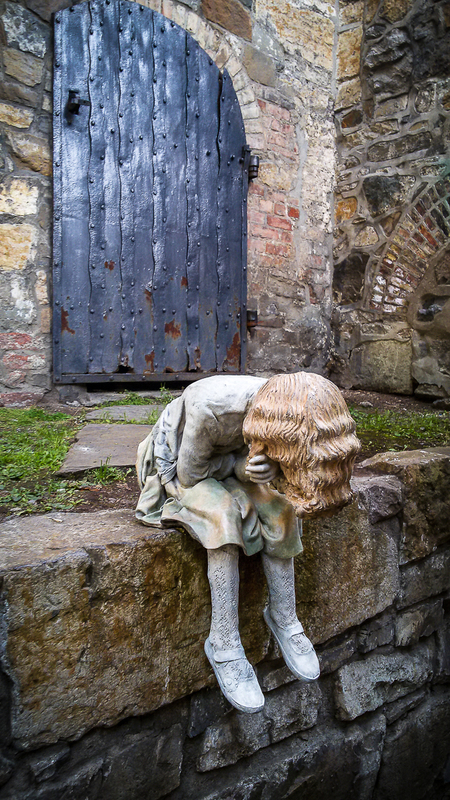 As you walk up the hill and walk through the castle complex, you will find some impressive sculptures. 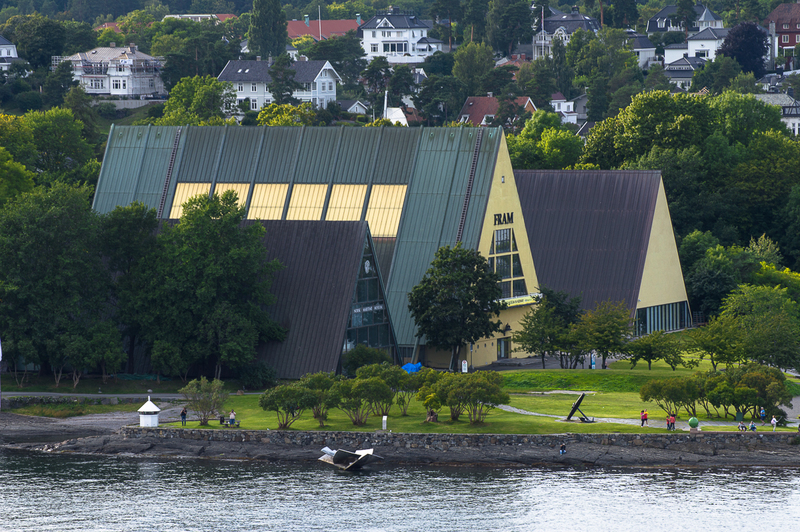 There is also the Norwegian Military Museum. A highlight is the changing of the royal guard. This takes place daily at 1:30 pm. Furthermore, you have a great view of your cruise ship from up here! 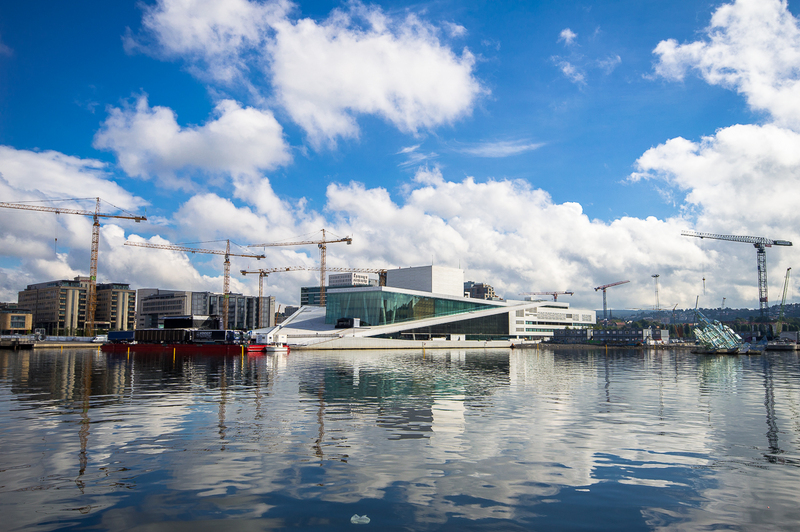 Not far away from the Akershus fortress, you will see the Oslo Opera House. It is located in the port area and you can recognize its modern, angular shape and white facades. 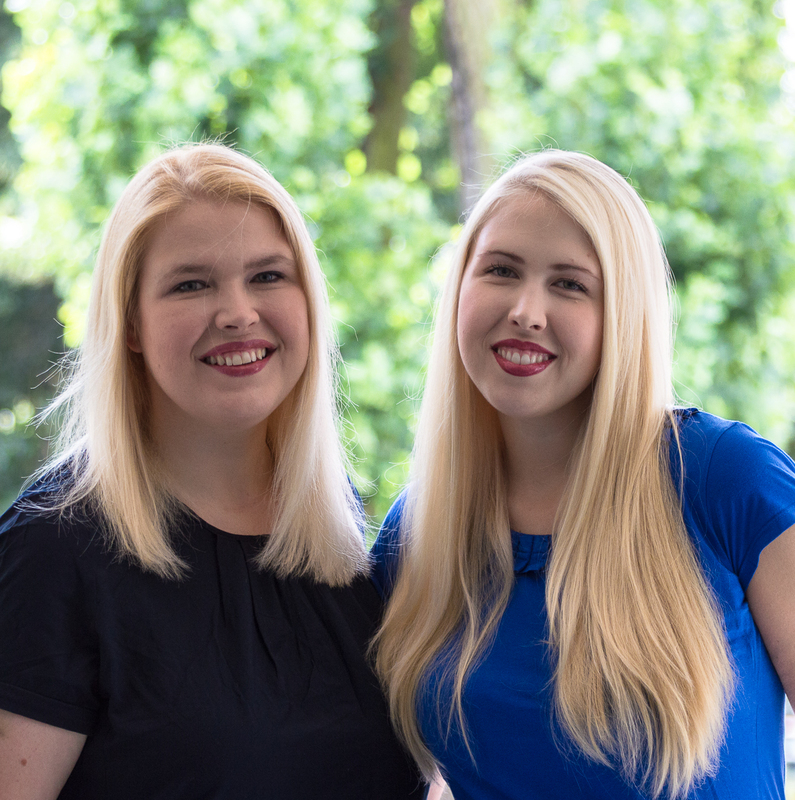 Our tip: You should definitely go to the roof of the opera. From there you have a great view of of Oslo. Every now and then there are also festivals and then the access to the roof is closed. From the opera we went to the main station and the pedestrian zone. The “Karl Johans gate” main street, which starts at the main station, leads directly to the royal palace. In the pedestrian zone of Oslo there are many cafes, restaurants and shops. We loved to stay at the Café W.B. Samson. 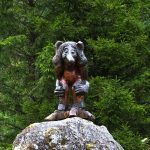 It is located in the middle of the pedestrian zone: Karl-Johans-Gate 20. They have some delicious pastries. We could not resist and tried some of them. We can highly recommend you the Kanelbolle. 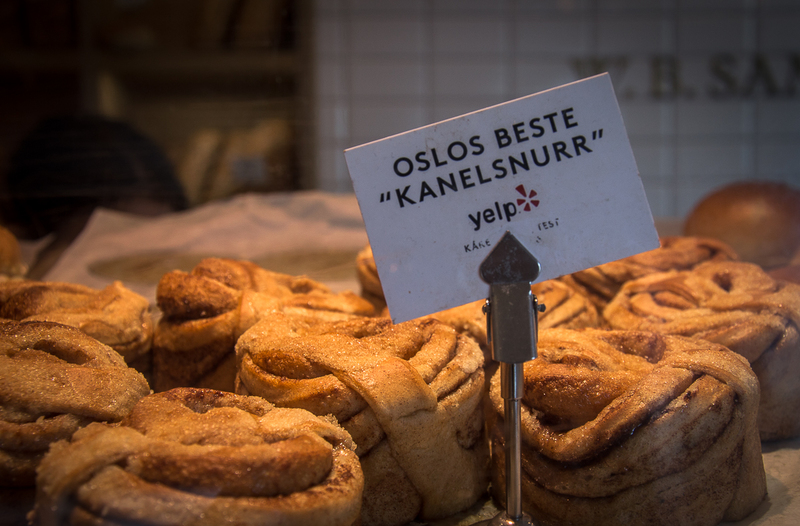 Kanelbolle are cinnamon rolls and a typical pastry in Scandinavia. Skolebrødet is also very delicious. 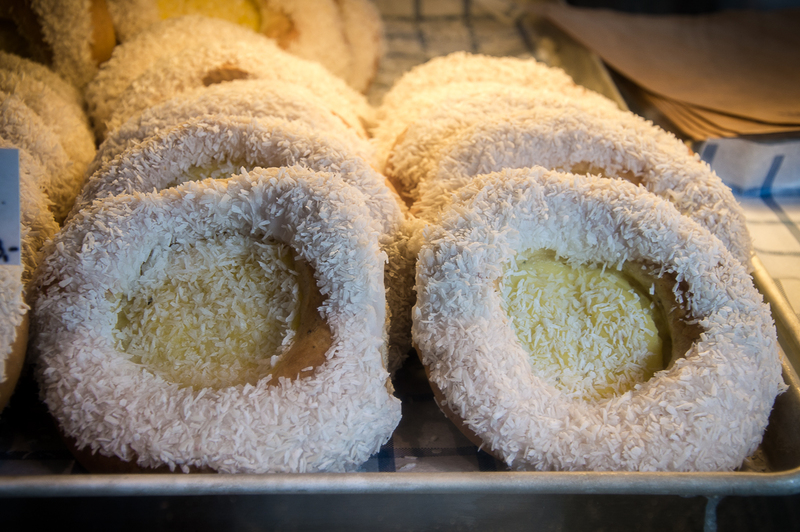 It is a pastry filled with homemade vanilla cream, covered with sugar and coconut. It tasted heavenly! Also Valnøttkaken, the classic marzipan cake with walnuts, is incredibly delicious and reminded us of our childhood in Sweden. 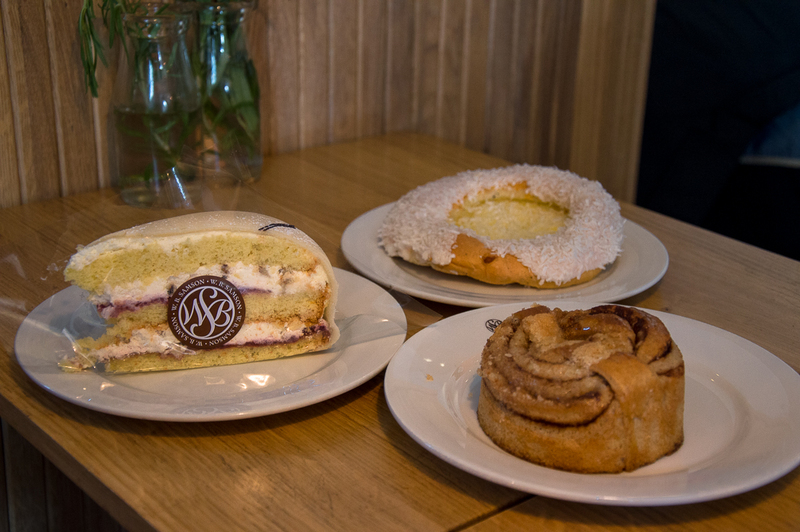 Oslo is indeed an expensive city and the cake unfortunately not cheap, but you have to stop and try the different pastries. You will not regret it. 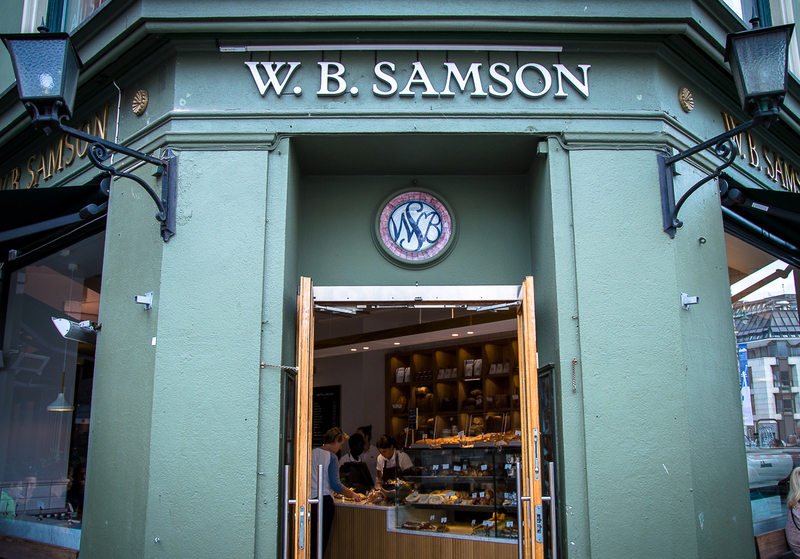 If you leave the Café W.B. 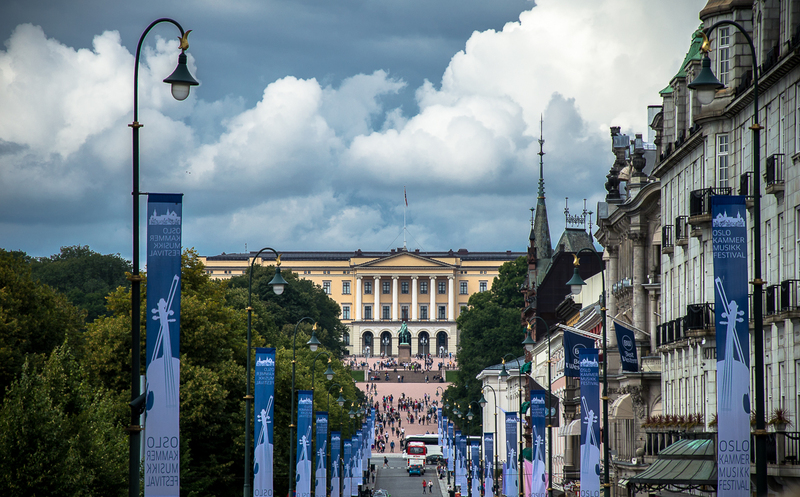 Samson and walk up the Karl Johans gate, you pass the Parliament building. 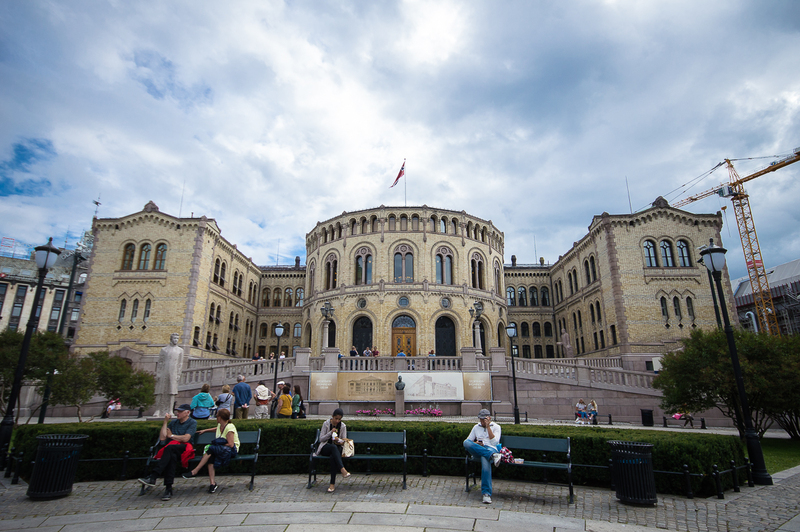 The Parliament building (Stortinget) is the seat of the National Assembly of Norway. It is a very beautiful building from the year 1866 and can also be visited. However, probably only in groups, since we were not allowed to enter the building. 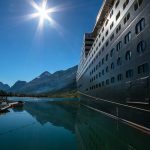 If you would like to visit the building, you should rather book a tour provided by the cruise line. 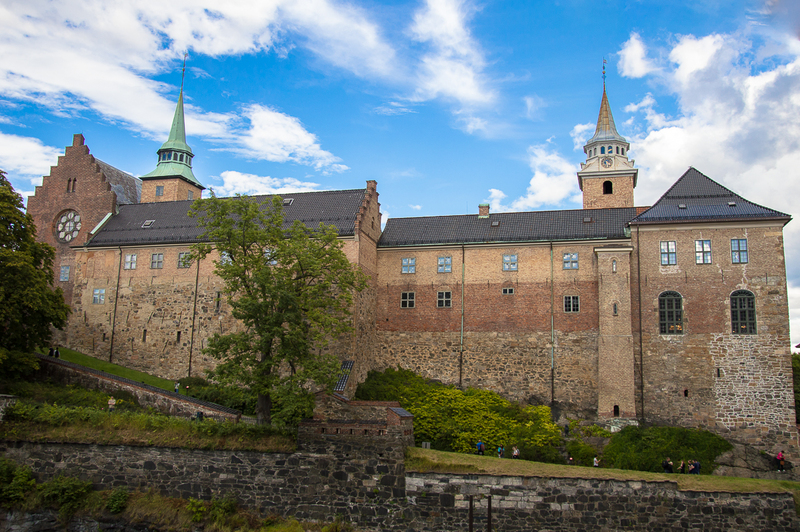 We continued to walk in the direction of the castle and enjoyed the atmosphere in the pedestrian zone of Oslo. The Royal Palace perched over the city and is located at the end of Karl Johans gate on a hill. The way to get there and also the square before it is very impressive. 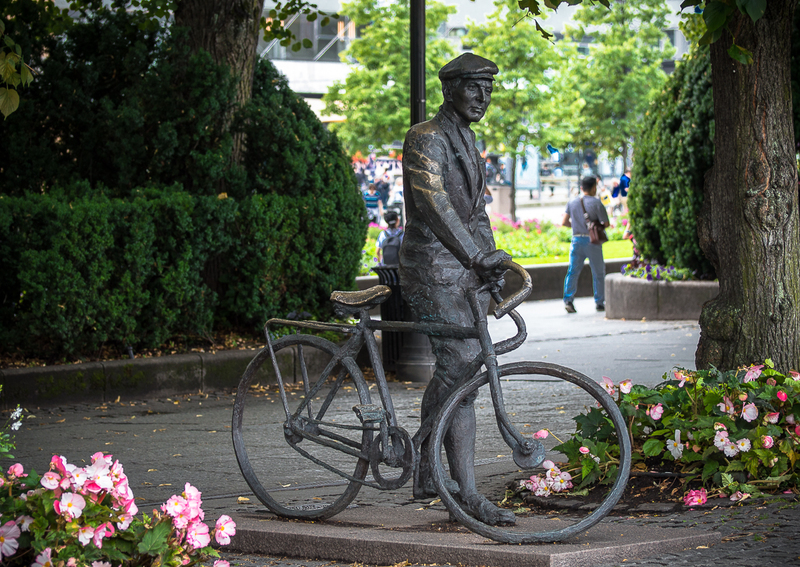 You will see many wonderful statues like the war hero Gunnar Sønsteby on his bicycle. 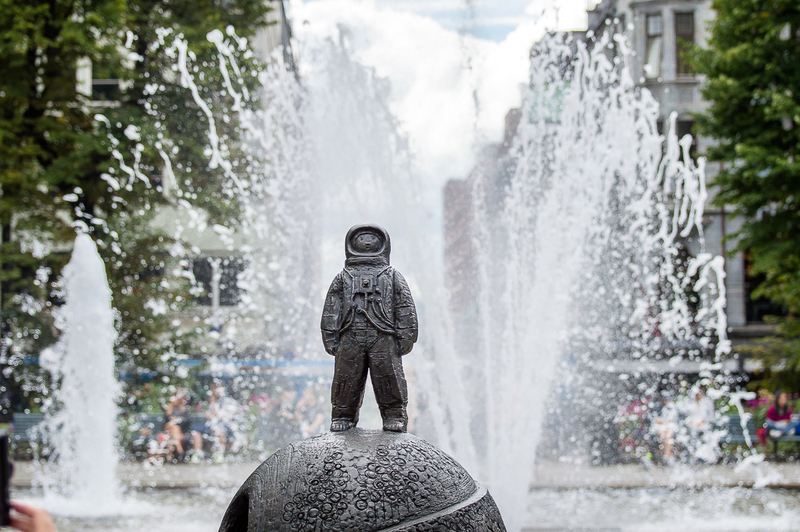 We also saw this cute astronaut standing on the world. There is a fountain behind him, another reason why it is a great photo spot for tourists. When we reached the Royal Palace, we were very happy to see that even the flag was hoisted. This meant that the king was at home. Unfortunately, we did not have time to visit the palace, since we still wanted to go to Aker Brygge, the amusement mile in the port area. 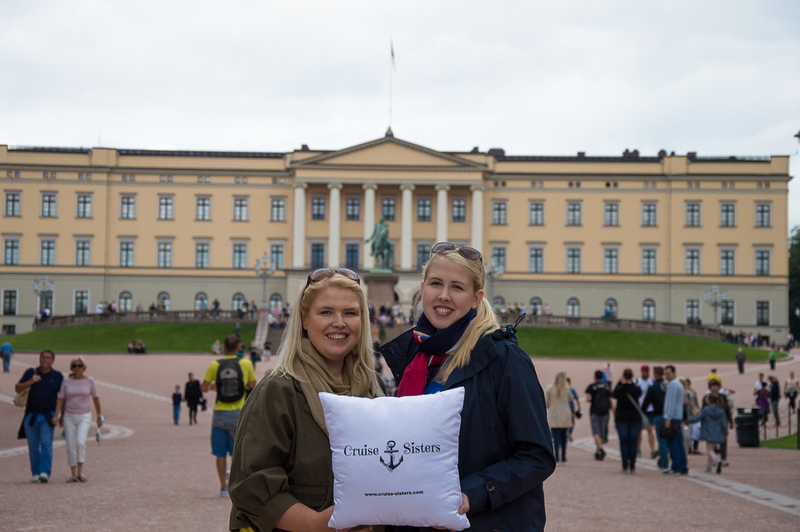 But we still had enough time to take a picture of us with our cruising pillow, which sails the world with us. At the Royal Palace you can watch the changing of the guard daily at 1:30 pm. In the summer, the palace is also open for guided tours from the end of June to the middle of August. The tickets should be available at the post offices, but we did not try to buy some. 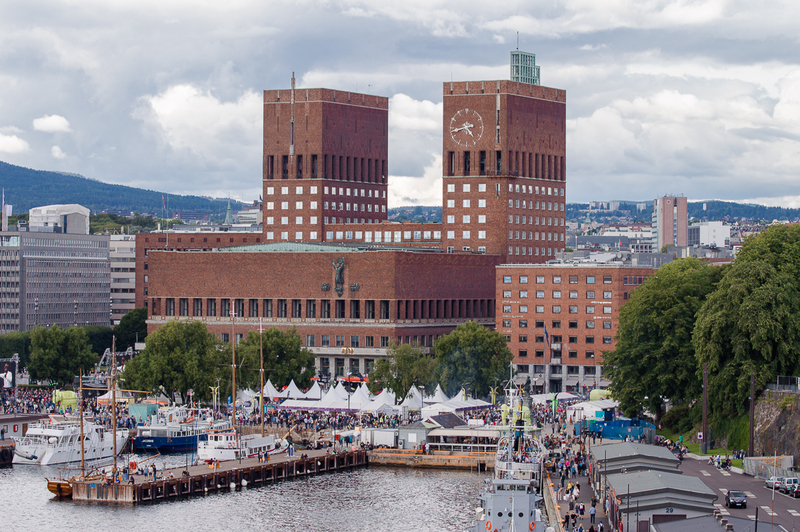 At the red city hall of Oslo, which is located directly at the port, we have crossed the road to Aker Brygge. With its two towers, the city hall can already be seen from afar. You can easily reach it from the cruise ship. It is home to the city administration as well of the city council and was opened in 1950 on the occasion of the 900-year celebration of Oslo. Every year the Peace Nobel Prize is awarded in this building. The other Nobel prizes are awarded in Stockholm. During our trip to Oslo, we were lucky enough to enter the Nobel Peace Center next to the town hall fo free. We learned a lot about the work of Alfred Nobel and the winners of the Nobel Peace Prize. 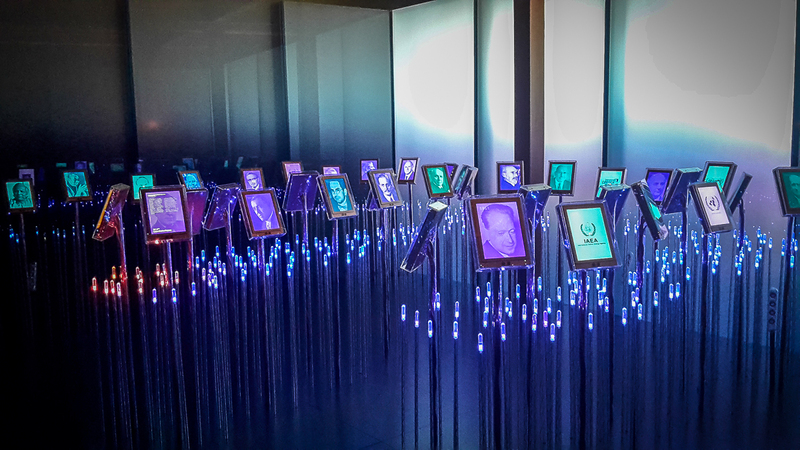 The best room was on the upper floor with many photographs of all the Nobel Peace Prize winners. This room was particularly impressive. When we were in front of the respective photo, we were could listen to the explanations of the audio guide. It explained who the winner was and what the prize was awarded for. It is definitely worth a visit. 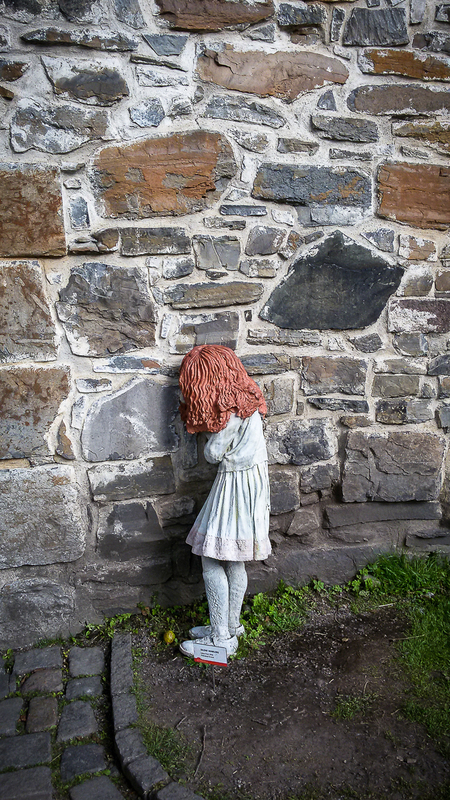 Normally, admission for adults costs 100 NOK and children up to 16 years have free admission. Our next stop was in the harbor district Aker Brygge. Right next to the water, there are many restaurants, bars and cafes. We sat down in the lovely restaurant Lektern. This restaurant is a boat in the harbor and we had a table right at the water overlooking the Queen Mary 2. A lovely place to let the day pass your mind. We ordered a rekekurv. 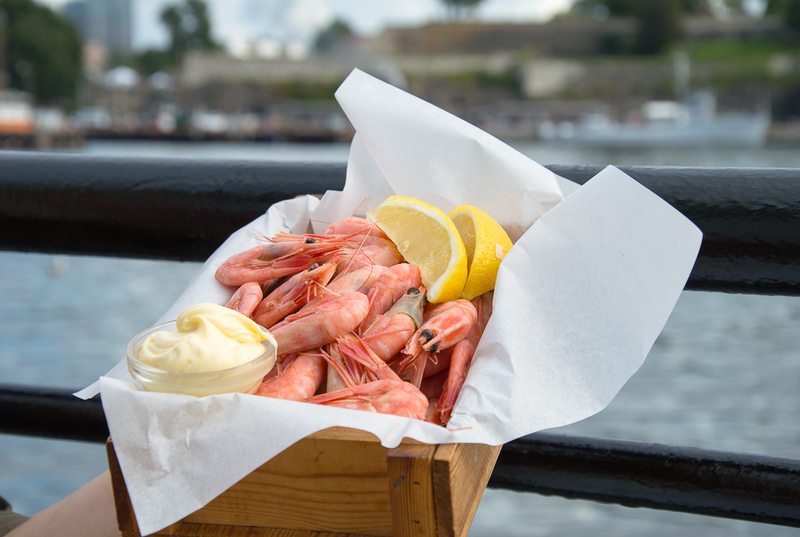 Rekekurv are 400 grams of Norwegian shrimps in a small basket with baguette, majonaise and lemon. Simply delicious. It was a big portion, which was enough for three persons. The basket cost 195 NOK, but was so delicious. 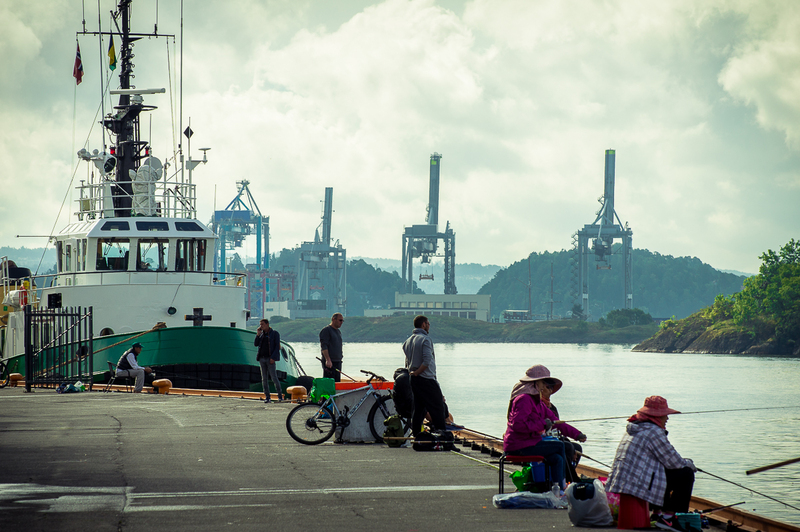 If you are want to taste some fresh shrimps and you have nice weather, we can recommend you to stop here. 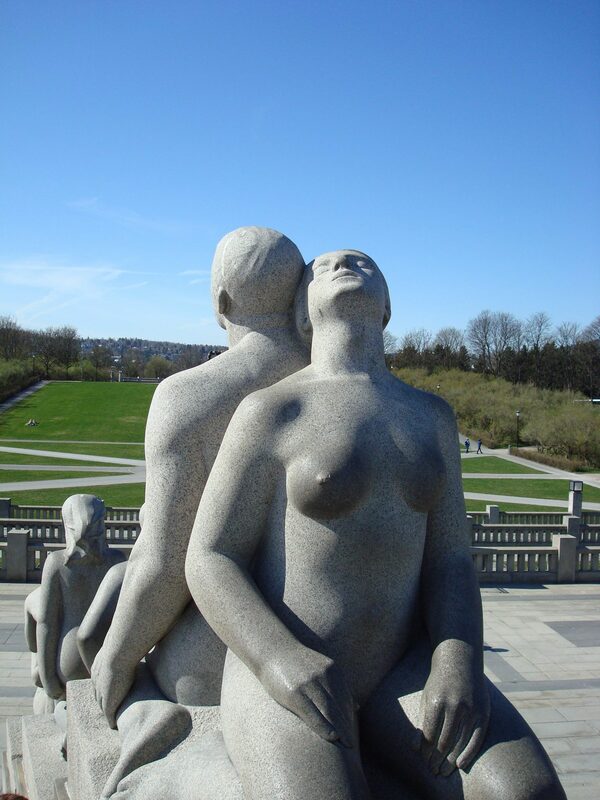 The Viegeland sculpture park is an absolute must if you have good weather. The entrance is free and the park is open all year around the clock. 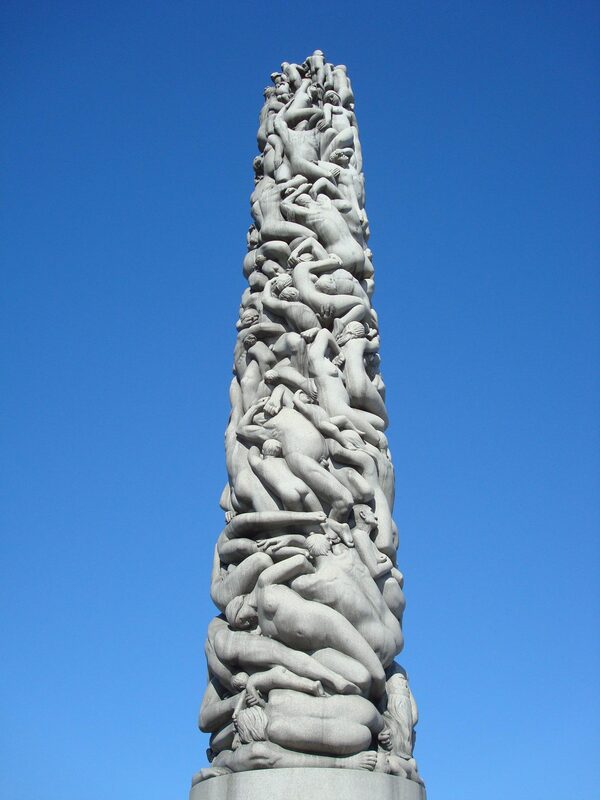 The Vigeland sculpture park is the work of the sculptor Gustav Vigeland and you can look at 200 sculptures in bronze, granite and wrought iron. Unfortunately, we were not there this time because it started to rain. 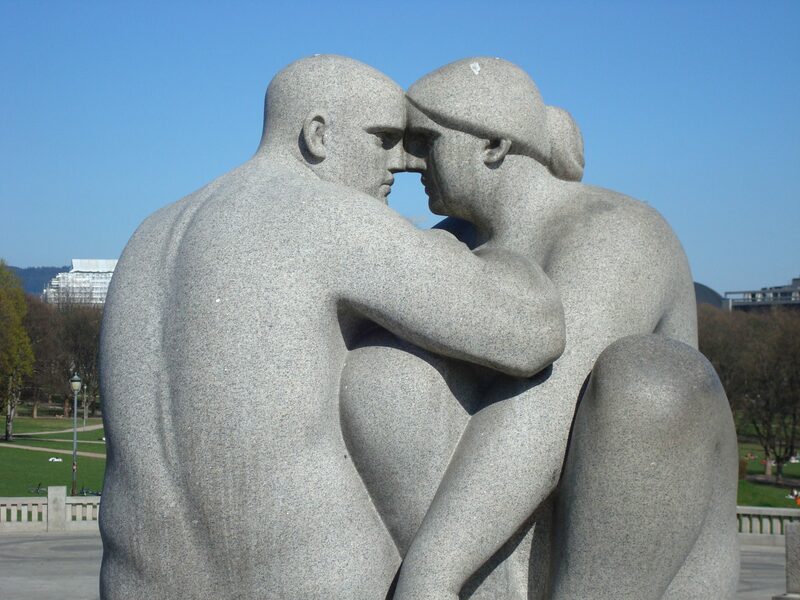 However, we took a few pictures on a trip before for you to get an impression of the sculptures in the park. 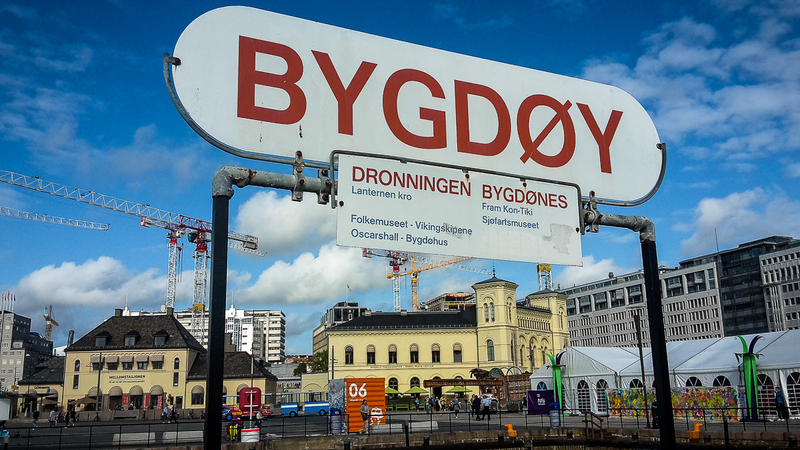 You can reach the park by tram number 12, which departs from Aker Brygge towards Majorstuen. However, we would recommend a guided tour offered by the cruise line, so you can learn more about the different sculptures. 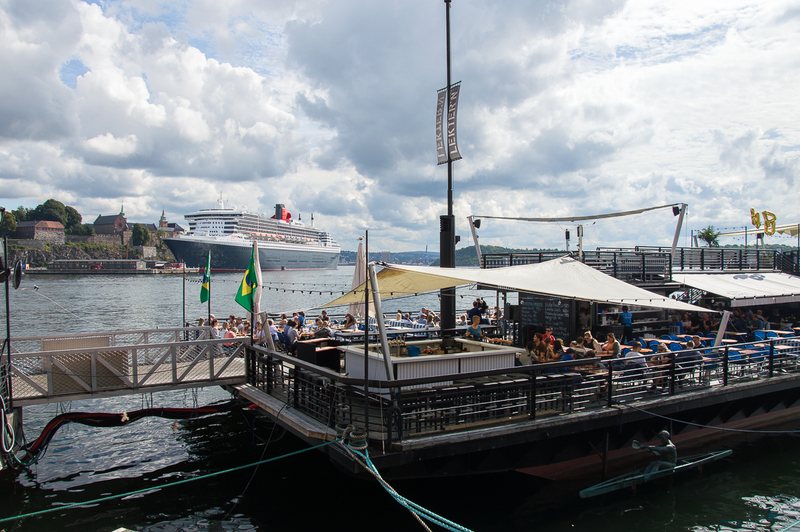 Another highlight in Oslo is the two-hour port cruise. The ships dock directly behind the town hall. 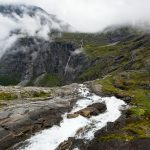 The fjord sightseeing tour costs 285 NOK per person. It takes around 2 hours and you pass by Aker Brygge and the Opera House. Afterwards we cruised through the archipelago before Oslo and we learned a lot about the islands and their inhabitants. A nice tour to get to know the city from the water side. You can also take the ferry to the peninsula Bygdøy. 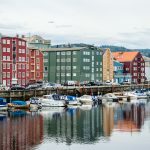 In Bydøy there are many famous museums, such as The Fram museum (History of Polar Researches) and the Kon-Tiki Museum. The ferry departs every half hour and a trip costs 60 NOK. 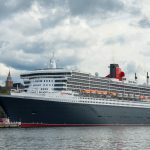 Of course you will not be able to visit all the sights in Oslo in one day, but you will get a good impression of the city by the time you return to your cruise ship. 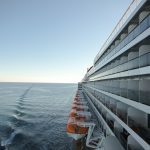 We went back to the Queen Mary 2 and continued our journey to the Norwegian fjords. 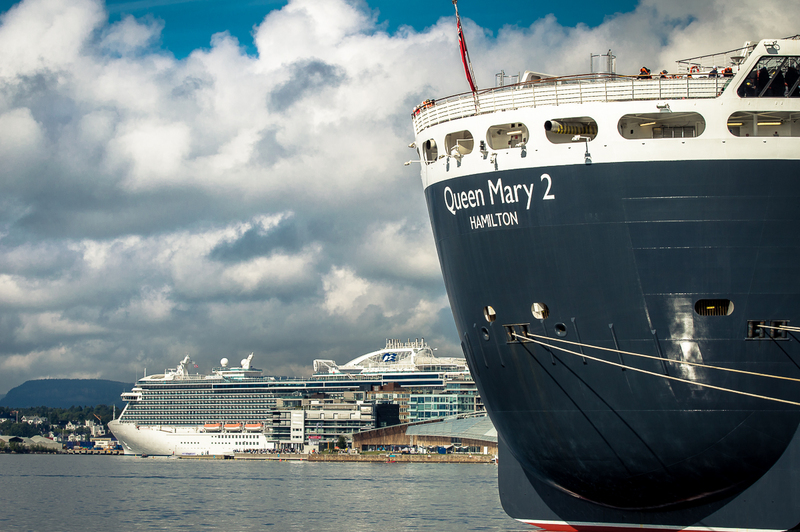 If you want to find out more about our cruise aboard the Queen Mary 2, you can read more related articles here.